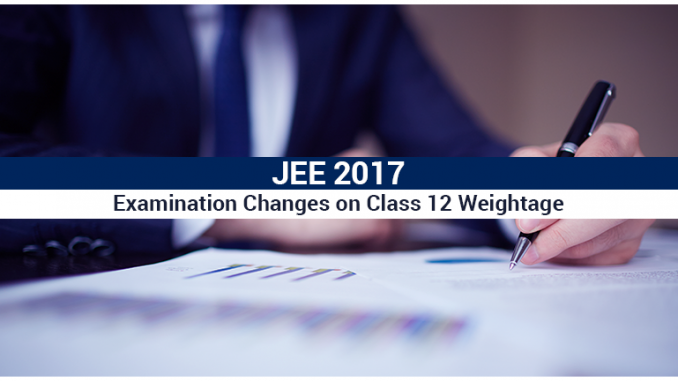 Well, this means that class 12 scores will be a crucial parameter for determining the eligibility criteria for the JEE Exam in 2017. The IIT JEE – the IIT Madras will conduct advanced Examination for the year 2017-18.IIT Madras will be responsible for carrying out the JEE exam, setting of the question paper and answer keys, announcing the results and managing the JEE Portal. As we all are aware that the IIT Madras is ranked No. 1 Institute in India by the National Institute of Ranking Framework (NIRF), you can expect tough question paper and the competition platform to join various IIT, NIT, and IIIT. Click HERE to know all about IIT JEE 2016.